Monthly lunch meetings are a great opportunity to network, have a great meal, and learn about various topics like climate change initiatives, new technologies, rule updates and more. Networking events are held about every other month and are a great opportunity to unwind with co-workers and colleagues as well as make new connections. It's also a great way to meet people that you work with regularly over the phone or email. 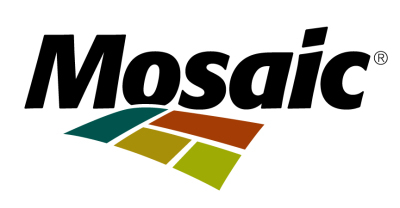 All members are welcome to attend the board meetings, held every other month. Share your ideas, volunteer to help on committees, or just observe. No need to RSVP, but you may want to double check the location, as they are subject to change. The annual Spring Picnic is another member appreciation event created so that we have a event that members can bring friends and familty to. There is free food and plenty of activities and games sure to provide entertainment for everyone. The Women in STEM Workshop sparked the creation of the Women in STEM Sub Group. This group is comprised mostly of women in the environmental field. We have a group Facebook page for sharing ideas and get together in small groups occasionally. Falliday is the premier TBAEP event. As a member appreciation event it is free for members who register to attend. Falliday is held in November at the T Pepin Hospitality Center. 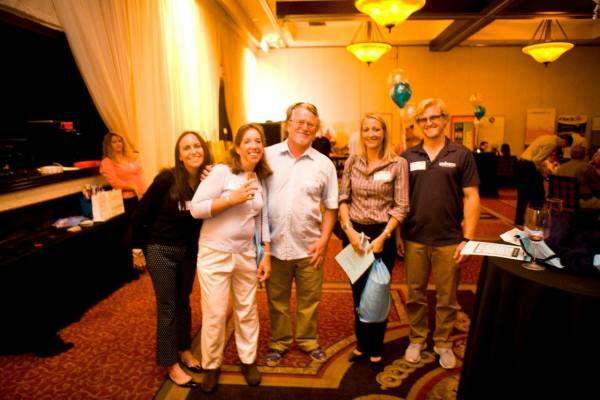 Enjoy great food, raffle prizes, photo contest winners, and great company! There are many ways you can volunteer with TBAEP. Perhaps the biggest way is to join the board or join a committee. We also have community service events throughout the year. Students are able to attend TBAEP monthly lunches at a discounted rate largely due to donation made by other members. Just select the option on your lunch registration and the quanitity that you'd like to sponsor. The student chapters need people who are involved with the schools to act as liasons and sponsors. The student chapters also host monthly meetings that require working professionals to volunteer their time and experience. The Rising Star Scholarship is offered to two students per Spring and Fall Semester. The fund currenlty has an endownment target that will allow it to generate enough interest to be self-sustaining. Raffles are held at most of the events. Student chapters typically run the raffles and bring the proceeds back to their student chapter funds. Prizes vary and are usually in the $25 - $50 range. Sponsoring a lunch, a networking event, Falliday or a special event helps us to provide great venues and food selection for members. Its a great way to get the word out about an upcoming project or new technology your company is working on. TBAEP has moved most of its up to date news to social media. Follow us on Facebook and LinkedIn to stay on top of upcoming events, workshops of interest, weekend happenings, and other items that we feel would be of interest to members. All event invites and registration links are emailed to the email address that is listed in our member database. If you switch jobs or retire make sure that you update your info with us so that you don't miss any important invites or news updates. Board elections happen March/April each year. If you or someone you know would be interested in helping to make a positive difference and have an active role at TBAEP events submit a nomination for the TBAEP Board. 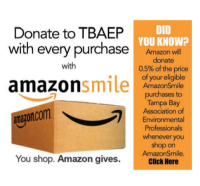 TBAEP is a nonprofit run by volunteers who are organized into committees. The committees allow us to be efficient and effective with our resources. Have a specific interest or skill? Help out with an appropriate committee. The Women in STEM Sub Group hosts its own small activities like hiking, biking, and kayaking as a way for women in the environmental field to get to know each other. Enhance your leadership skills by hosting an event! 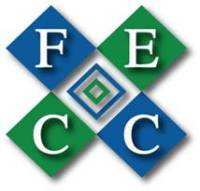 The May lunch meeting is reserved for Environmental Awards Presentations. It is a great way for you to show off your work or boost a colleague or client by nominating them for an award. Award nominations are accepted during the month of March.